E.R.P.S. 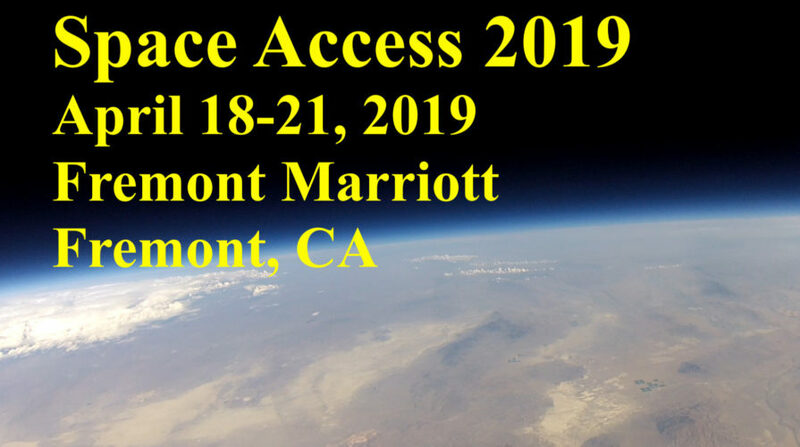 to host Space Access Conference, Apr 18th – 21st, 2019 at Fremont Marriott! The E.R.P.S. 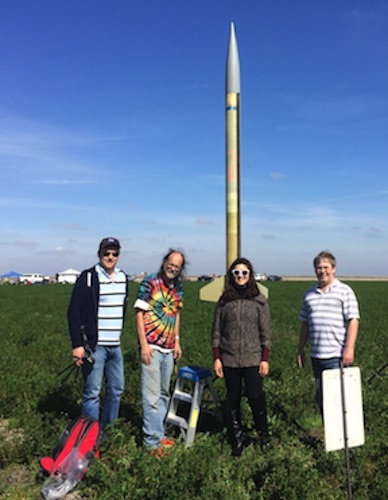 was founded in February of 1993 to gather interested amateurs in a group that would learn about, design, build, and test liquid fuel rocket engines. 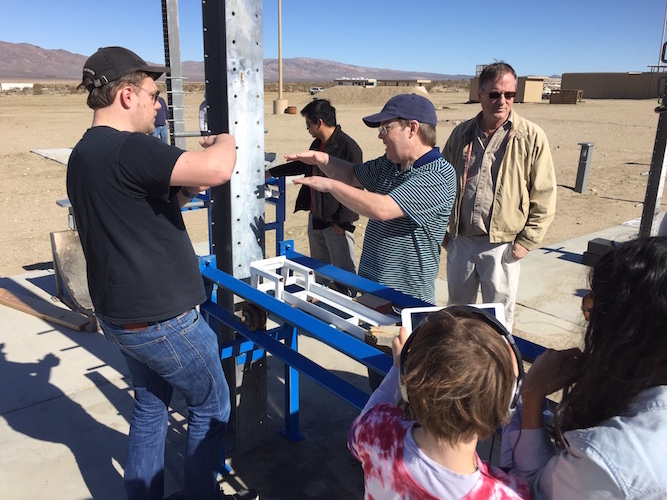 Its founders, Michael Wallis and Kevin Bollinger, hoped to foster and disseminate “nuts and bolts” knowledge of rocket science, and thereby speed the day when truly routine access to space would be achieved. 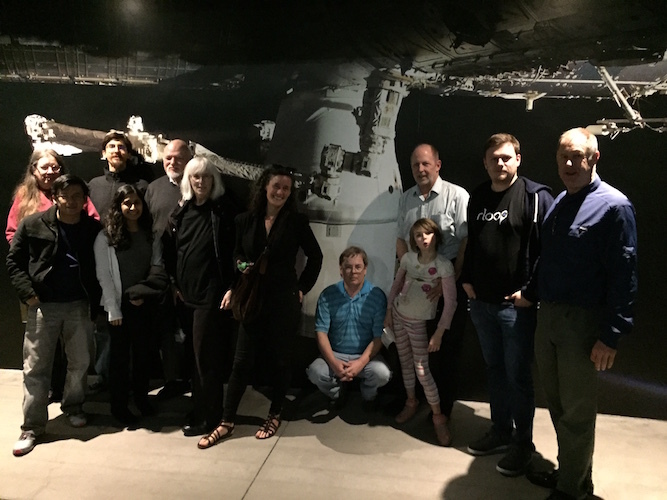 Early on, the group decided to concentrate on developing and testing high density, room-temperature-storable propellant combinations. The reason was because they allowed the maximum amount of work to be done with the minimum amount of risk to life, limb and logistics. After research and consultations, high-purity Hydrogen Peroxide (H2O2) was selected as the oxidizer of choice, with the intent to use it with a high-density kerosene such as JP5 or regular Jet-A. In the meantime, the H2O2 (also known as HTP, or “high-test peroxide”) could serve as a monopropellant, permitting the group to “cut its teeth” on relatively safe rockets with reasonable performance. 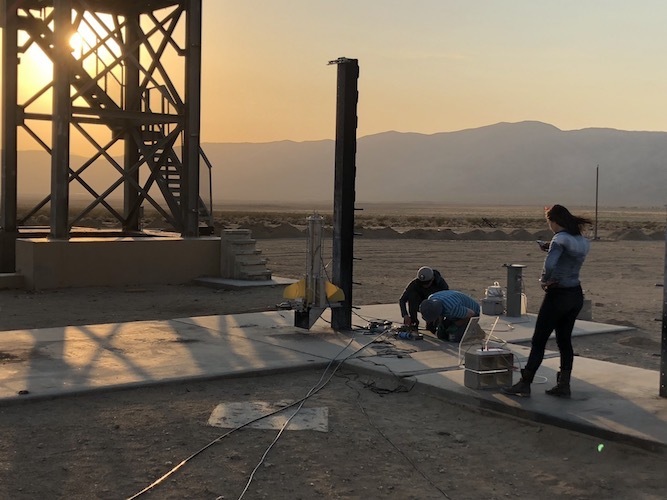 Over the next eleven years, the group acquired access to rocket-engine assembly and test facilities and, more important, active members with the skills to make good use of those facilities. We’ve achieved a number of successes — notably, the first repeated amateur launch of the same vehicle within one 24-hour period. The group was founded to pursue the development of technology capable of reaching Low Earth Orbit (LEO) in a single stage. That goal has not changed, even though it’s taking longer to get there than we expected. The keys to this achievement are lots of building and testing. Since beginning with HTP in mono-propellant vehicles made logistical sense, best performance demanded concentrations of 95% and higher. Therefore the E.R.P.S. set out to find, by research, test and experimentation, a catalyst formulation that could operate with 95% to 100% peroxide without deteriorating. Such a catalyst would be of great value in the efforts to open the space frontier. We believe we have such a catalyst, but we need to run more tests to make sure. We expect to complete those tests later this year. Getting to the next level of performance (and, ultimately, LEO) will require a bi-propellant vehicle — which adds a whole new order of complexity. Vehicle control is another challenge. We have a team working on control issues. Their primary tool at present is a home-brew propellor-driven testbed called “Gizmocopter”. The idea is that control software can be developed on Gizmo, with testing done locally, and later transferred relatively quickly to a multi-engine rocket vehicle. This team is also responsible for the electronics on our existing rockets. Our other challenges include logistics (keeping track of parts, tools, etc. ), documentation (too often overlooked, but essential to a successful development effort), safety, and regulatory affairs. To sum up, we are designing and building a series of increasingly capable vehicles, the last of which will reach low Earth orbit. If you’re interested in helping us reach that goal, read through the Web site to find out what we’ve doing in more detail. Then show up at a general meeting and volunteer for a job where you think you can make a contribution. The ERPS is directed by a board chosen from the executive membership. Director elections are held in May of each year, at the annual meeting. Officer elections are also held at the annual meeting. There are three classes of membership in ERPS: Observer, Participating, and Executive. Observer — This class of membership is mostly for those who reside outside the San Francisco Bay area. It permits you to read and post to the mailing list. Those who live locally can also attend the monthly General Meetings — but so can the general public. Participating — Participating members pay a $25 annual fee that supports the activities and efforts of the group. This also allows you to participate in development teams, attend rocket tests, participate in project meetings and more. This is the “hands-on” level of ERPS membership. Executive — Executive members make up the core of ERPS leadership, by serving as Project Leads, Officers or Directors for the group. The membership of ERPS is worldwide. These far-flung members keep in touch chiefly by participating in the Society’s electronic mailing list. Instructions for signing up, as well as an archive of past messages, are found HERE. The Internet lets us maintain contact among members, keep track of progress, notify people in the local area of meetings, and receive valuable help from more distant contributors. The main avenue for this communication is the ERPS e-mail list. Instructions for subscribing to the list and archives of past posts are available on the list info page. Regular meetings are held the third Tuesday of the month at the Hacker Dojo in Santa Clara, California. If you’re local (or visiting) and would like to attend a meeting, watch for the “Next Meeting …” notices in the e-mail list or on the Web site.